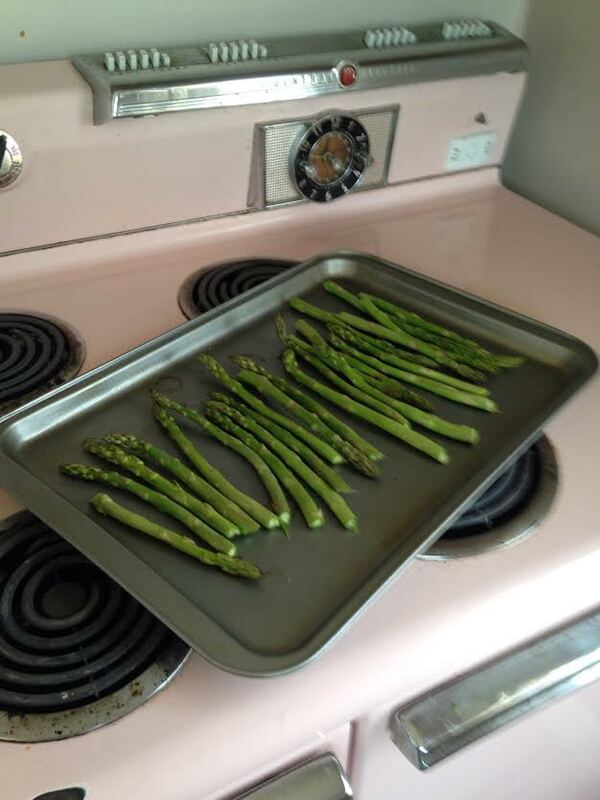 Recipe: Roasted Asparagus | Finding delight. I love a dish where a star ingredient can just speak for itself and, for me, no vegetable shines brighter than asparagus. 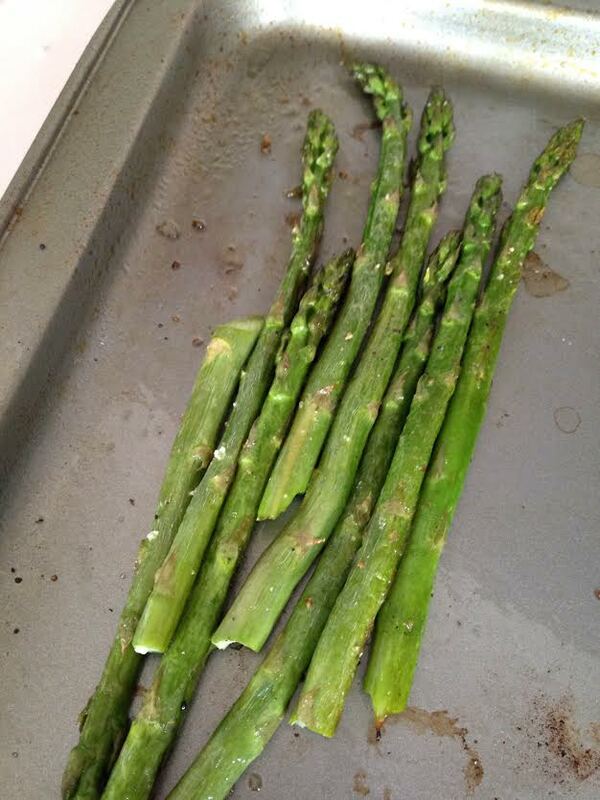 This recipe for roasted asparagus is super simple and tastes amazing. Pair with a grilled steak, scrambled eggs or spicy black bean burger for a delicious spring or summer time meal that comes together in minutes. Bonus points if you nab your produce from the farmer’s market. 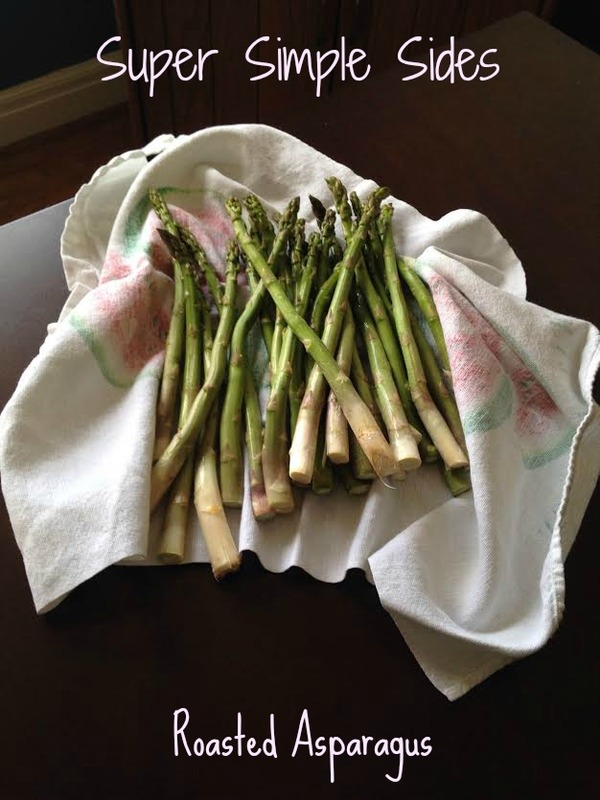 -Rinse your asparagus spears and dry them off using a pretty linen tea towel…ok so that second part is optional. -Snap off the tough ends of each spear. You can save this part for future veggie stock making. -Line up your spears in a single layer on a baking sheet. 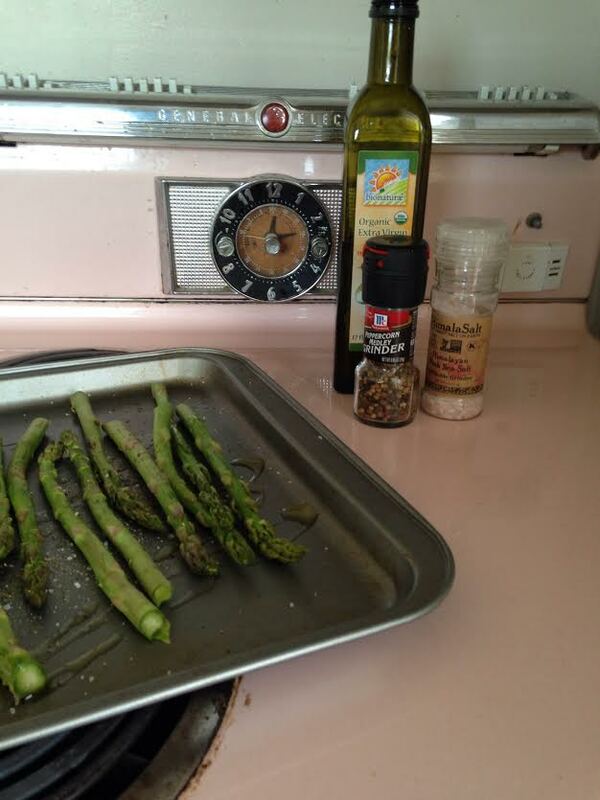 -Drizzle the olive oil on top and sprinkle liberally with cracked salt and pepper. -Use your fingers to bathe those puppies in oily goodness. -Pop ‘em in the oven for ten minutes and plate away! Extra serving flair: Top with grated Parmesan cheese, lemon juice or my condiment go-to, balsamic vinegar. But honestly I prefer them without all that jazz. What’s your favorite veggie side dish? Do you like to keep vegetables simple or dress them up with lots of add-ons and fancy choppin’? Looks so yummy! I’ve been so preoccupied with squash this summer, I need to make a FarMar run and take in some other summer produce.